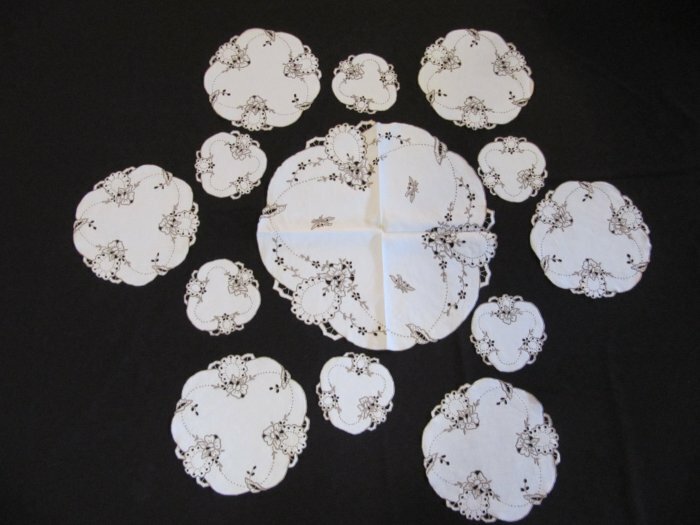 From the 1960's, a beautiful set of embroidered table linens for a special luncheon, tea party, card party, or other gathering. CONDITION: All are clean and in mint condition. Set appears not to have been used, with no stains, tears, frays or loose threads.